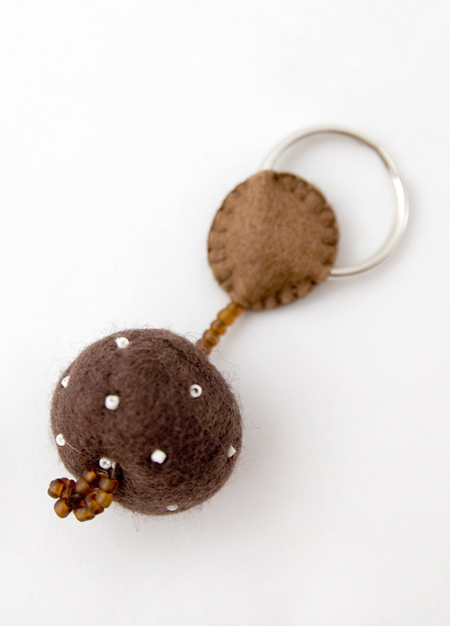 yep, I have made my first felt ball keyring, not sure how practical it is, but we will see how it goes with the next few. Half term is going well, and we really enjoyed our trip to Winchester Cathedral, with did lino cut printing, but with polystyrene tiles, really good, and I will try to take a photo of his printing tomorrow. Who cares about practicality when something looks so good. Oh I really really like it! Who cares about practicality – we all need a little bit of loveliness in life and to hell with the rest. Number 1 son of mine is also being a headache at the moment. I feel part sorry for him and part want to throttle him. Parenthood – who knew?! Really. Really lovely. And I’m sure it’s perfectely useful/practical too. The felt keyring is gorgeous. especially love the beads on the felt ball. I was given a felt keyring with flowers and a similar ball on it. its lasted a good while, so on the practicality front, i wouldn’t worry! Its nice to brighten up your bunch of keys! Good luck with everything.